Music is a universal language and is one that is spoken in Maine. The Waterfront Concert series, which began in 2010, is made up of several venues throughout the state of Maine that host concerts for everyone, whether you’re a little bit country, a little bit rock and roll, or a little bit of both. 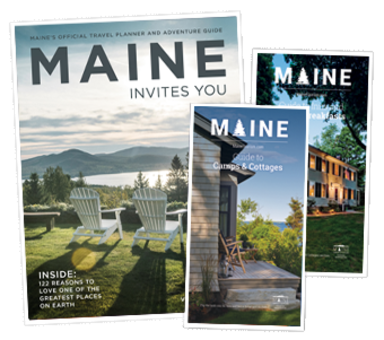 Portland, being Maine’s largest city, is home to three of these concert venues: The Maine State Pier, the Merrill Auditorium, and the Cross Insurance Arena. The acts that have graced their stages span both genres and generations. During the 2015 concert season, these venues hosted musical acts that included The Beach Boys, Alan Jackson, Train, and many others. The State Theater in Portland, Empire, and the new Portland House of Music and Events showcase accomplished local artists as well as national acts. No other community in Maine has seen greater growth in music attractions, and art culture in general, than Bangor. This growth began 10 years ago when the city was chosen to host the National Folk Festival, which transitioned to the American Folk Festival after three years, and is held the last weekend of August. In recent years, the Waterfront Concerts have brought life to Bangor’s waterfront and downtown areas. Major acts that performed in Bangor include Lady Antebellum, Ed Sheeran, Reba McEntire, Van Halen, and many others. Portland and Bangor are not the only places in Maine with a great music scene. You can find some great music festivals all across the state whether you’re on the coast or further inland, including; All Roads Music festival in Belfast, Bar Harbor Music Festival in Bar Harbor, and the LL Bean Summer in the park festival in Freeport. These smaller festivals are full of local Maine artists from all around the state. Ranging from Bluegrass to Rap these artists are sure to please every crowd. No matter what your interests are, these venues offer something for everyone. Along with concerts and sporting events, these venues host trade shows, comedians, and children’s activities. Most importantly, though, they bring life to the communities that call them home.